Elastics adhesive bands for a perfect fit. 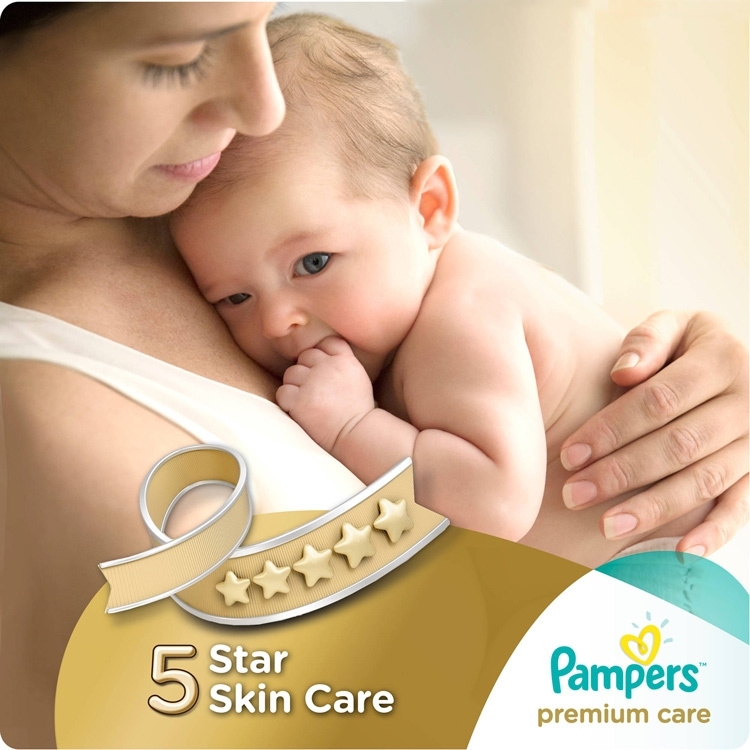 Give your baby our best care for skin, Pampers Premium Care. Pampers Premium Care diapers are gentle and hypoallergenic to help maintain baby's healthy skin. They have Extra Absorb Channels™ to distribute wetness evenly for up to 12 hours and an Absorb Away Liner™ to pull away wetness and mess. They're also breathable inside and out and have a wetness indicator that lets you know when your baby might need a diaper change. Choose the best Size for your baby to sleep all night Wit No Leaking & No Mess to clean in the morning.